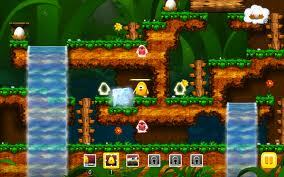 Is Toki Tori a golden egg for the WiiWare service or is it a smelly rotten egg you want to avoid? Let's find out! 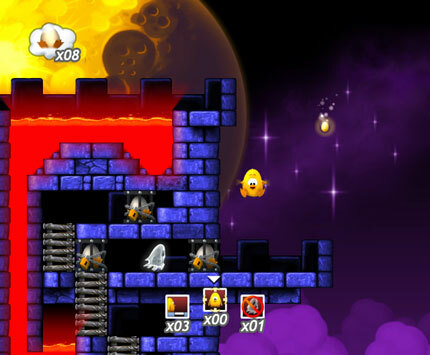 The gameplay in Toki Tori is simple, avoid enemies and save the eggs in each level! 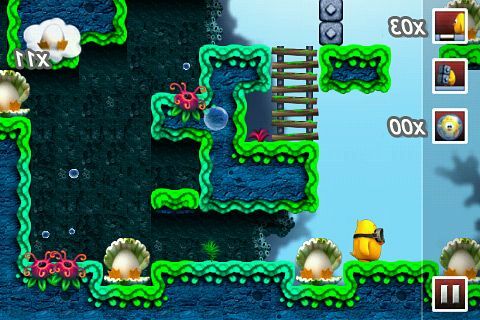 However this is easier said than done as many obstacles and tricky enemies are cleverly placed throught every level to make things difficult for our yellow feathered hero! Some puzzles are simple, but others require the use of items and the layout of other obstacles in the level to progress further! The controls are simple and easy to learn so you won't have any issues there! The game is also quite long with over 80 levels to tackle so don't expect to beat the game in one sitting! The graphics in the game are cute and nicely detailed with vibrant colors and animated background and foreground objects! The enemy models have fluid animations and look nice, but overall the graphics are simple yet effective! The sound effects in the game are simplistic yet fitting and the music is a nice touch, but is easily the weakest aspect of the game. Make no mistake though as the music is still good and some tracks are quite enjoyable! 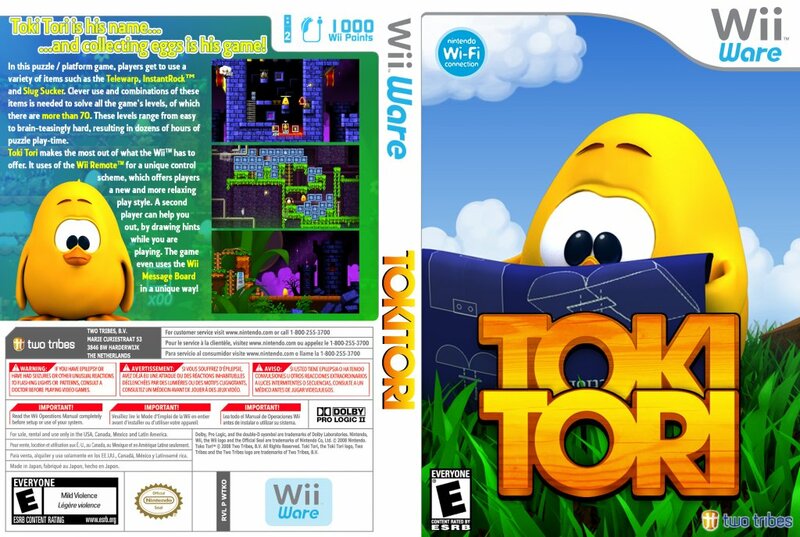 With fun gameplay, intuitive controlls, vibrant graphics, and nice music Toki Tori is an excellent addition to any WiiWare library and with over 80 levels included you'll agree that this game is loaded with content! I'm still on the 7th level... I know, I should be ashamed of myself. Good review, I'm looking forward to the Wii U release of this game lol. Will buy the Wii U version when it's out. I believe Americans had to pay 100 points more than the rest of us for this game. Yep Toki Tori is 1,000 points here in NA. Mmm hmm it is more expensive here, beautiful review @Rukiafan! This is a tough game mates, but not as tough as the sequel. Your review is right about everything this is such a good game. Was game release in Japan? Two Tribes is such a good indie developer.